First, understand that children are highly sensitive to child’s cold medications, both prescription and over-the-counter drugs. The Mayo Clinic suggests that some OTC drugs (even cold medicines) do not actually treat the underlying cause of the illness; furthermore, some of these medications could have potential side effects, including a rapid heart rate and allergic reactions. Antibiotics for a child’s cold are similarly ineffective, because they are used to battle bacterial infections and not viruses (viruses are the mean little suckers that cause a child’s cold in the first place). What are some child’s cold tips that can help you treat your sickly little guy or girl? First, make sure your child gets plenty of rest and drinks lots of water. This is a natural remedy for a child’s cold but recovery will prove difficult if your child is still running back and forth to school. In the meantime, encourage your child to cough if he needs to. Coughing clears away mucus from the airway. Other ways to help clear a child’s airway include steam from a hot shower, a cool-mist humidifier, saline nose drops and the use of a suction bulb. Treat a child’s sore throat with gargling salt water or cough drops. 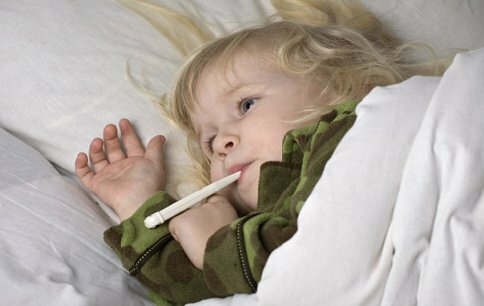 If symptoms persist, talk to your family doctor about your child’s cold. A child’s cold is unfortunately common. However, these tips can help your child recover quickly.